Overunity proof by Larsko ? 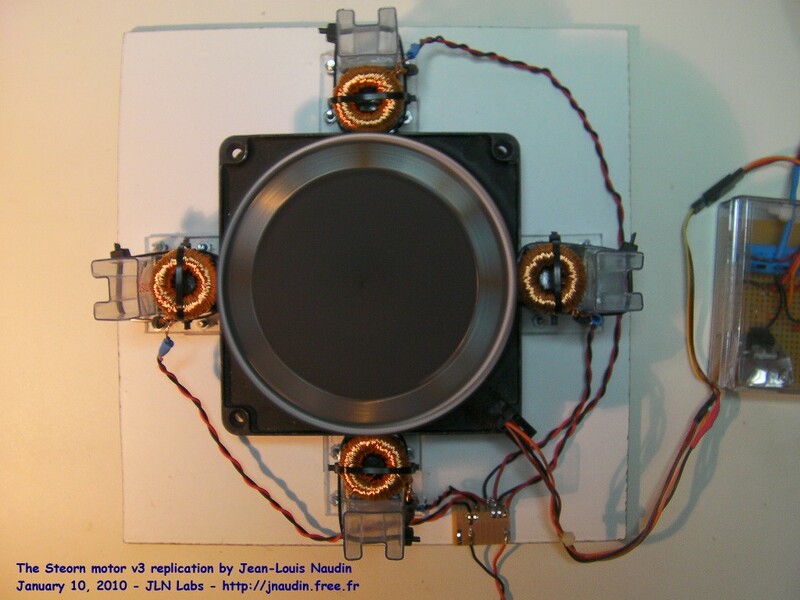 The new Steorn magnetic motor shown on december 15, 2009 by Sean McCarthy in Dublin is composed by a rotor equiped with neodymium magnets and a stator which contains toroidal coils with a ferrite core. The rotor magnets are attracted by the ferromagnetic material of the torus, so the magnetic potential energy is converted into kinetic energy of rotation. The ferrite will be magnetically polarized and will be temporarily transformed into a magnet of opposite polarity to that of the rotor magnet. So there is attraction but when the magnet is closest to the ferrite it is locked by the magnetic force and enable to exit. When the magnetic potential energy is minimal and when the kinetic energy is maximum (the nearest point of the magnet closest to the torus), a depolarization pulse is sent through the toroidal coils changing the orientation of magnetic domains (Weiss domains) of the ferrite, which frees the magnets. I recall that there is no magnetic field outside a toroidal coil, it is commonly compared to a coil of infinite length. There is no direct interaction of the magnetic field of the torus with the magnetic field of the rotor magnets. 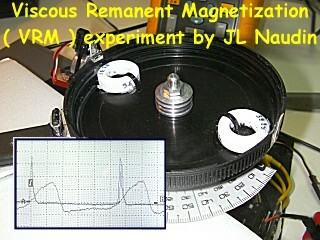 The magnetic field of the toroidal coil is used only to depolarize temporarily the magnetization of the ferrite core. Thus, the magnetic force of attraction of the rotor becomes unbalanced (symmetry is broken), the magnetic potential energy during approach of the rotor magnet is less than the potential magnetic energy during the exit phase. This is therefore the purpose of "magnetic regauging" fully explained by Tom Bearden. To summarize, we have a "non-reciprocal" and fully asymmetrical system. There is no counter electromotive force (back-emf) in the toroidal coils of the stator produced by the rotation of the rotor. 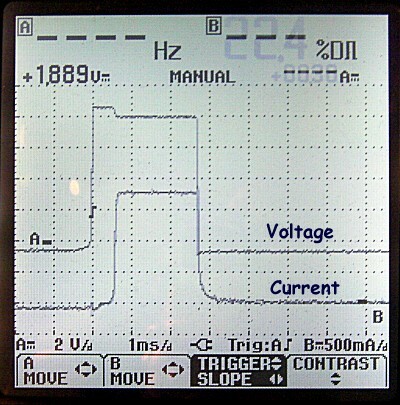 The current required to get the temporary depolarization of the magnetic domains of the ferrite is fully independent of the mechanical torque produced on the motor shaft. 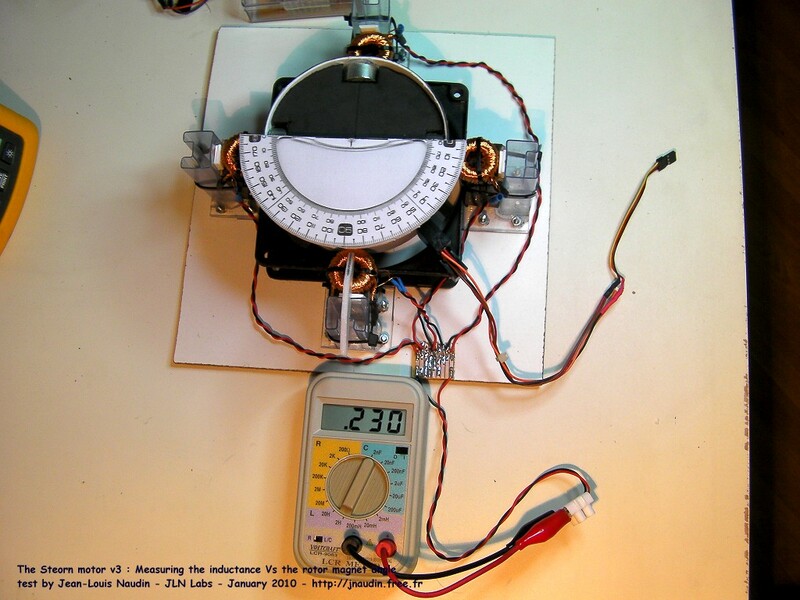 From the informations published on the Internet by Steorn, I have decided to reproduce this magnetic motor and, firstly, to check the observations and measurements presented in the video of December 15, 2009 by Sean McCarthy in Dublin. The experiments proposed here and their explanations are only based on my personnal interpretation only of the Orbo working principle presented to the public through videos and photos by Sean McCarthy in Dublin and may be differ from the official Steorn explanations. 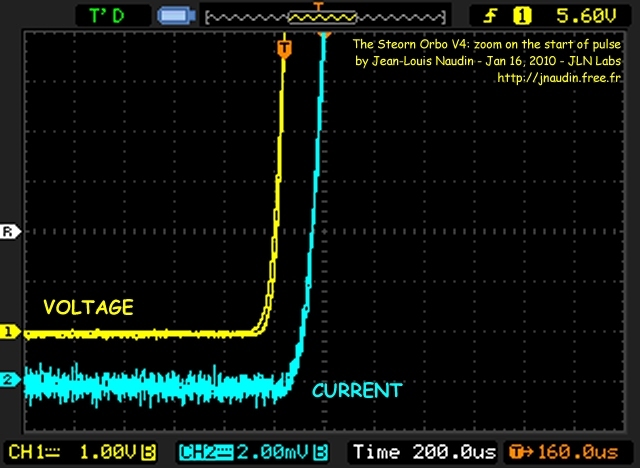 These experiments presented here are the tests results of all my researches about the Orbo device from Steorn. The previous Hall effect probe used to trigger the coils has been replaced by an optical sensor with black shutters for a better tuning. 4 x 2 NdFeB magnets (Bremag 27) of 27 MGoe (208 kJ/m3) polarisation N-S outward. 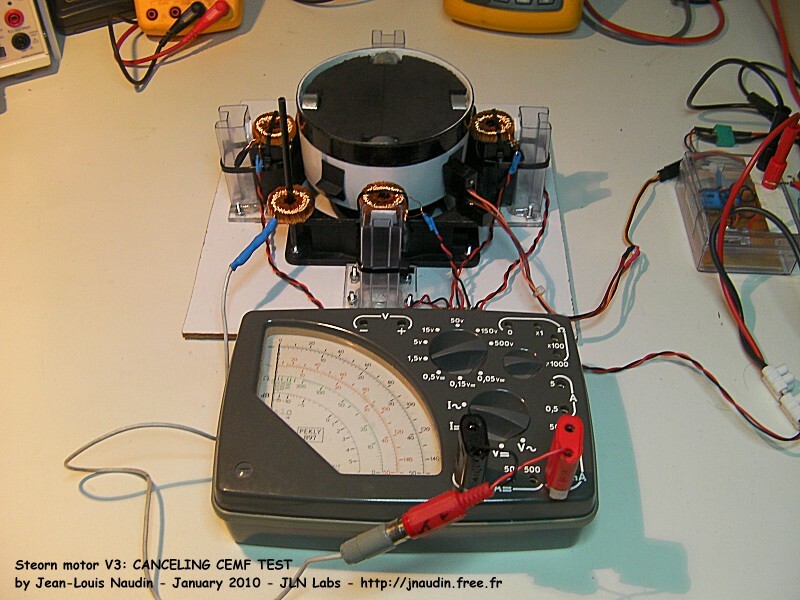 In this test only the two toroïdal stator coils 1 and 3 are used to power the motor. The RPM is measured with an optical tachometer and the motor is only lighted with a DC battery powered halogen lamp while all the AC lights are switched off in the lab. 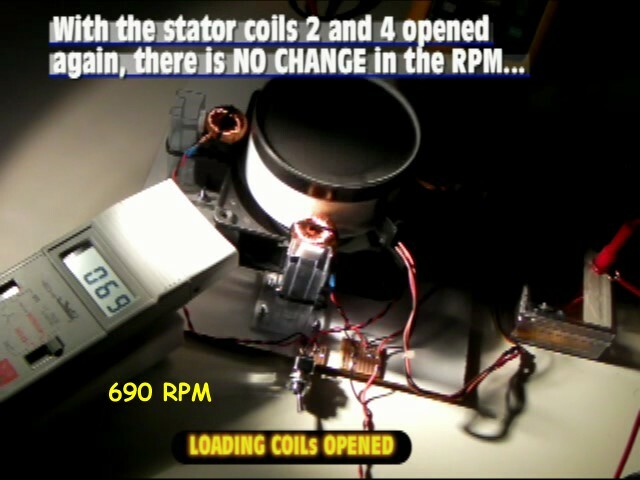 At full and stable speed ( 690 RPM ), the stator coils 2 and 4 connected in series are shorted and the change of RPM is measured. TEST RESULTS: At a full and stable RPM, when the toroïdal stator coils 2 and 4 are shorted with the switch, there is NO CHANGE in the RPM of the motor. 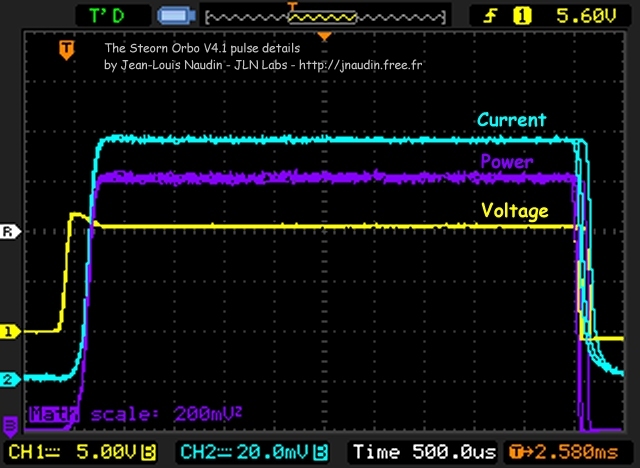 Shorting the toroïdal stator coils has no mesurable effect on the RPM of the Steorn motor. 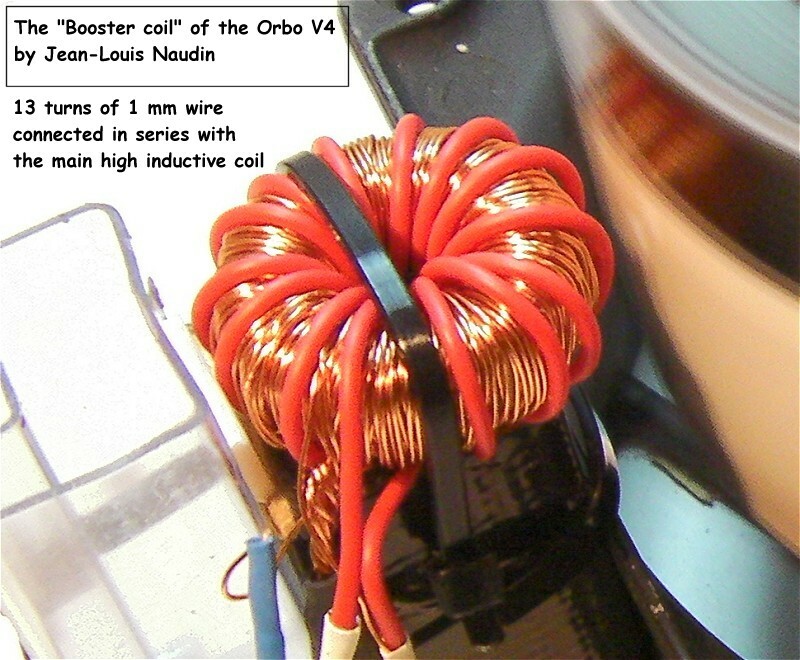 The purpose of this experiment is to measure the variation of the inductance of the toroïdal coils of the Steorn motor V3 Vs the angular position of the rotor magnet. 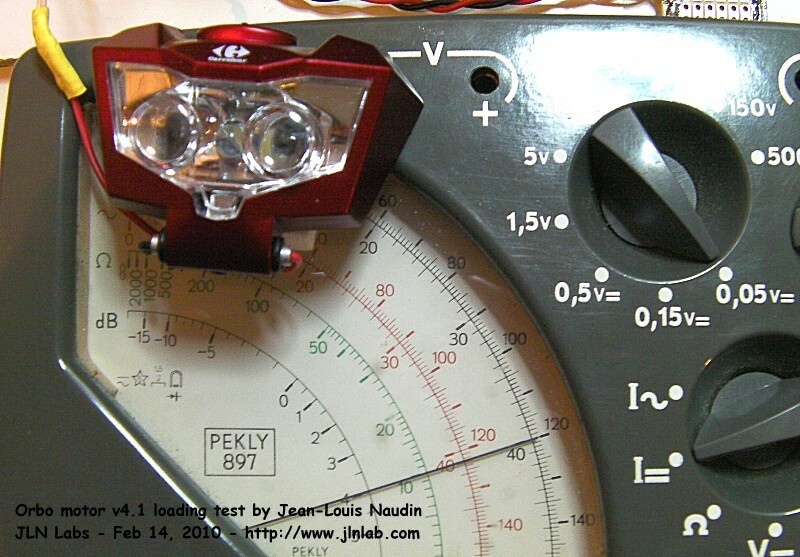 The inductance is measured with an inductancemeter Voltcraft LCR 9063 each 5° from 0° to 180°. The four toroïdal coils are connected in series. On the diagram above the position of the toroidal stator coils and the magnets and the areas where the coils are powered are clearly showed. 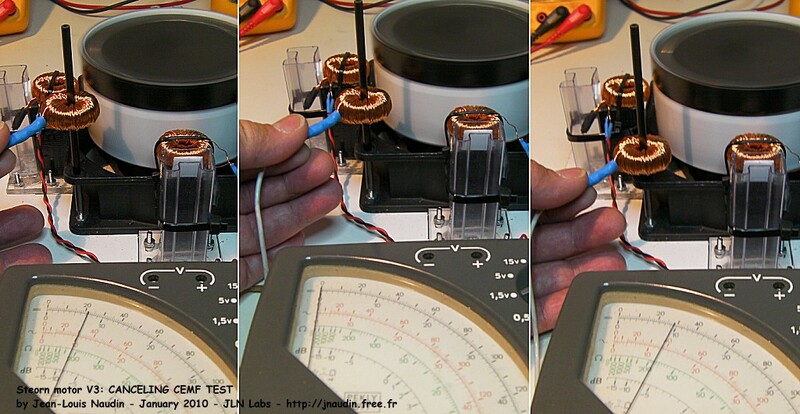 TEST 3: Canceling the Back EMF in the toroïdal stator coils, How To ? 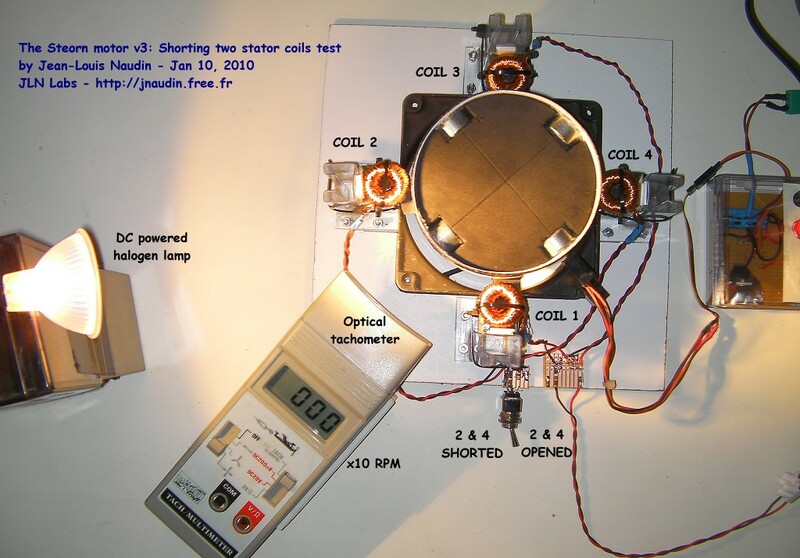 The purpose of this experiment is to demonstrate that Back EMF can be induced in the toroïdal stator coils when the coils are above and below the neutral magnetic line of the rotating magnets. You will notice that there is a very precise position where Back EMF is fully canceled. 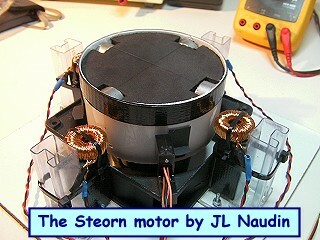 To conduct this experiment, I have used my working replication of the Steorn motor V3 with its four toroïdal stator coils. I have added a fifth toroïdal coil as a Back EMF probe. This coil is able to move along a path parallel to the axis of the rotating magnets and above or below the neutral magnetic line. The rotor contains 4 pairs of NdFeB magnets with their North and South poles outwards (the magnet with the North pole outward on the top and the magnet with the South pole outward on the bottom). TEST RESULTS: This simple experiment confirms that, when the toroïdal coils are placed above or below the neutral magnetic line of the rotor, Back EMF can be measured. This experiment confirms also that there is a very precise position where the Back EMF can be fully canceled, this can be done when the toroïdal stator coils are placed exactly in line with the neutral magnetic line of the rotating magnets. The pulse has been precisely tuned with the high power variable resistor and the coils have been finely aligned on the neutral magnetic line. 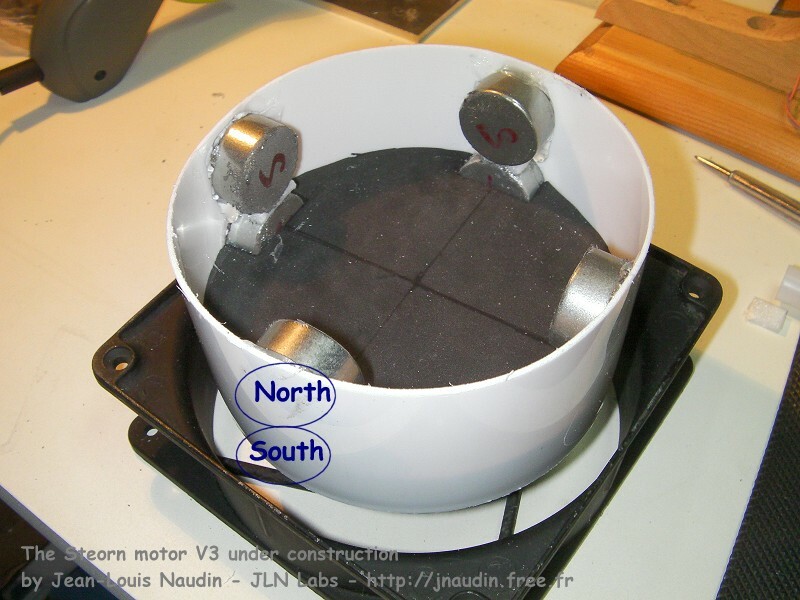 The purpose of this test is to measure the Viscous Remanent Magnetization (VRM) decay of the toroïdal ferromagnetic core used in my Steorn Orbo motor. When one rotor magnet, freely attracted by the ferromagnetic material of the toroïd, lives the core, the ferromagnetic material of the core remains temporarily magnetized with the opposite polarity of the leaving magne, due to the VRM effect. When the next rotor magnet approaches to this magnetized core, it will be more attracted by this temporarily magnetization during its approach and thus it will get more kinetic energy. 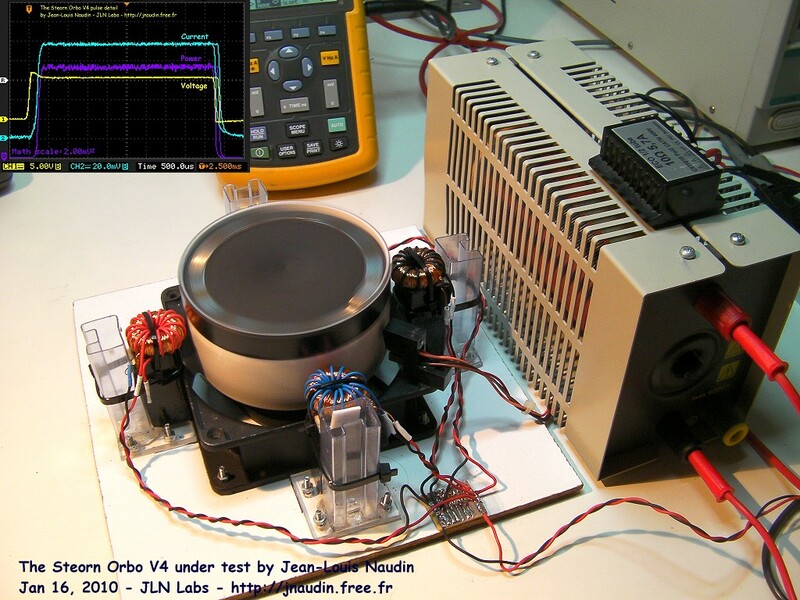 The purpose of this test is to check the loading effect on the input current of the toroïdal stator coils of the Orbo motor v4. So, a pickup coil has been connected at 45° from the TDC. This pickup coil is a flat air core coil (600 mH) connected to a High Power Leds panel used as load. 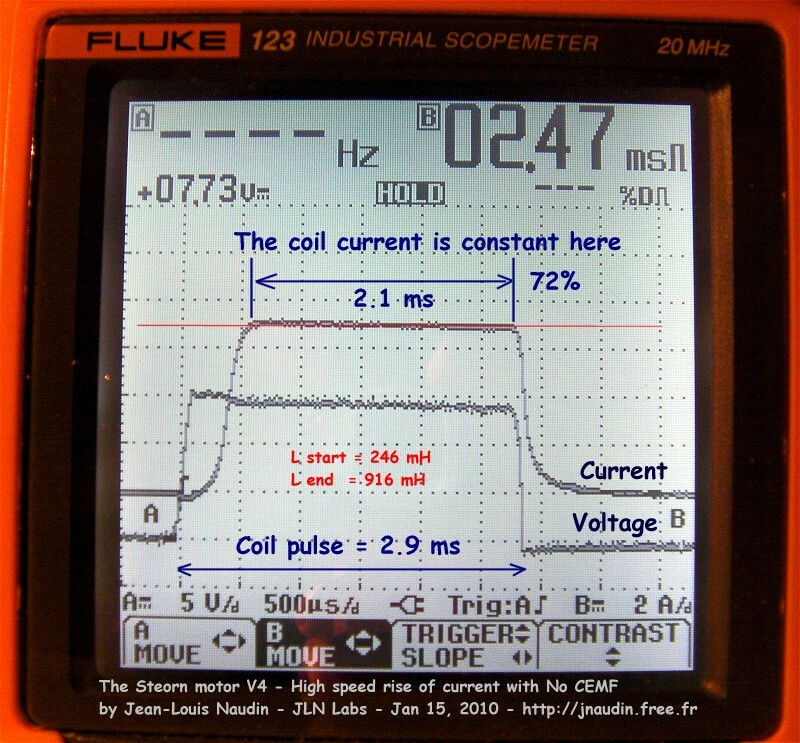 The input current through the toroïdal stator coils is measured with an analog ammeter. 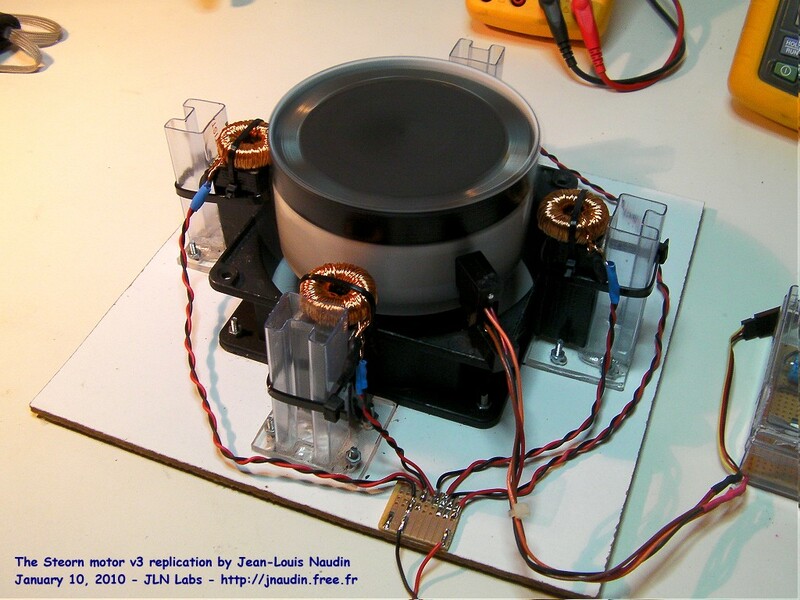 TEST RESULTS: At full and stable RPM, if the High Power Leds panel is switched ON, there is no change in the measured current at the input of the toroïdal stator coils. 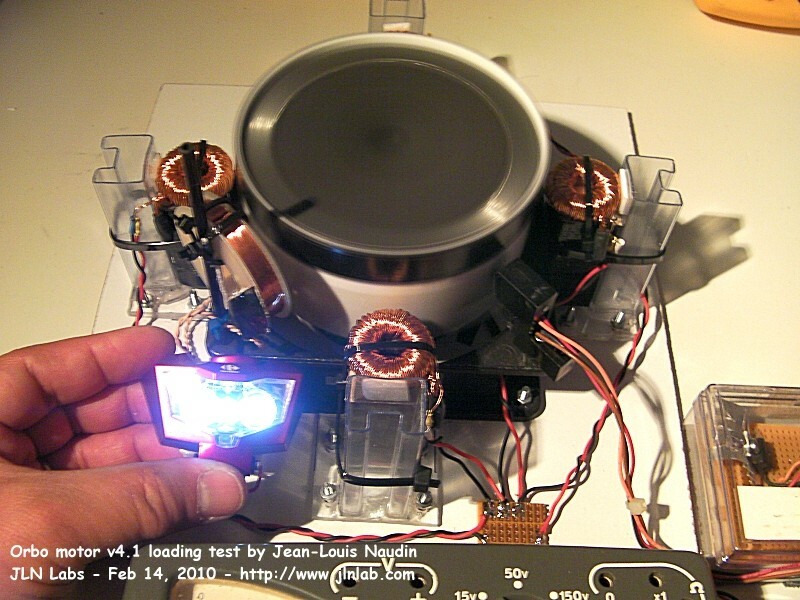 At full speed, with the LEDs OFF, the measured current through the toroïdal stator coils is 400 mA. 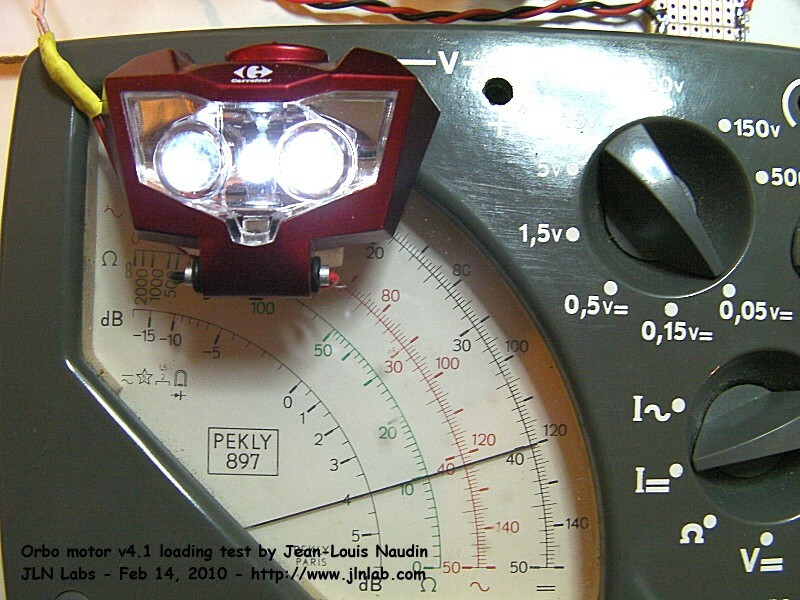 If the High Power Leds panel is switched ON, the measured current through the toroïdal stator coils is still 400 mA. 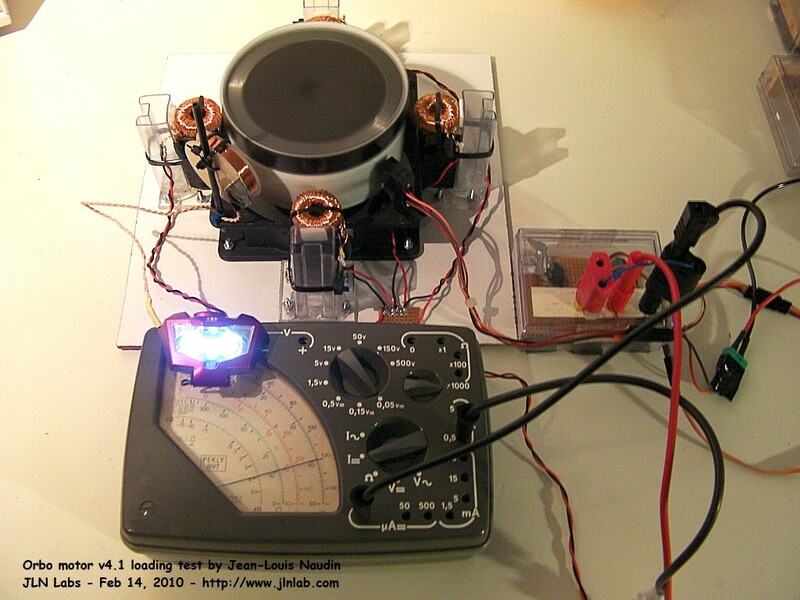 Congratulations to Larsko, he has build a very frictionless replication of the Orbo motor. His measurements during the loading test has demonstrated an overunity effect. The toroid core is a ferrite F-87A-H. permeability is 15000. Each coil has 200 turns of 23 AWG copper wire, 26 ft long. 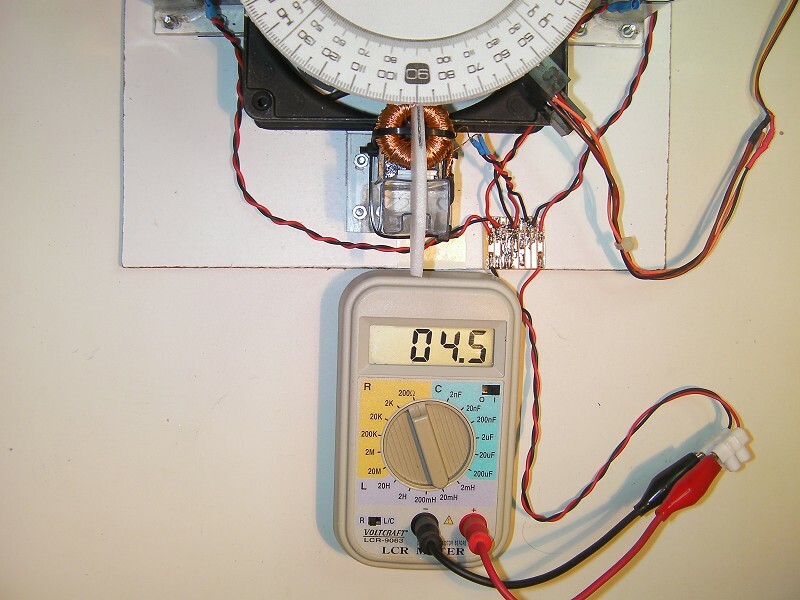 Each coil resistance is 0,5 ohm and the inductance of each coil is around 640 mH. 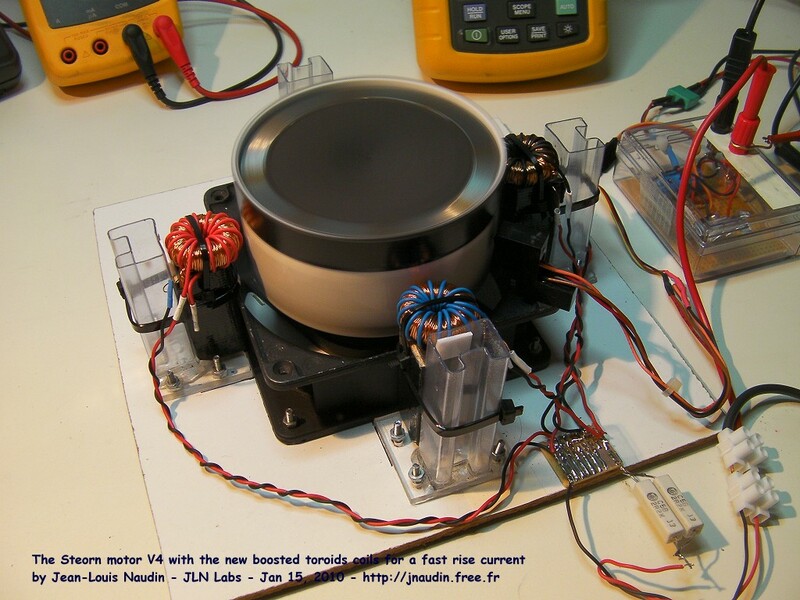 When the motor runs, the total inductance of the 4 coils is between 2300 mH and 2400 mH. Delta Power = 23 mW - 4 mW = 19 mW ---> 19/4 = 4.75 ? 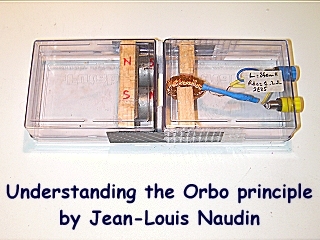 Comments from Jean-Louis Naudin: Why this patent, below, is interesting for the Orbo motor ? Assignee: The United States of America as represented by the Secretary of the Army, Washington, D.C.
Main and supplemental windings are combined in a toroidal inductor to subntially nullify Lorentz Forces on the main winding and the magnetic field thereof which passes externally from the inductor. Use of inductors or coils is well know as for storing electrical energy. As the electromagnetic parameters of inductors increase however, severe problems are encountered therewith, for example in power distribution systems of electric utilities. Because of Lorentz Forces which result from the interaction of currents with magnetic fields, structural integrity becomes a primary consideration. 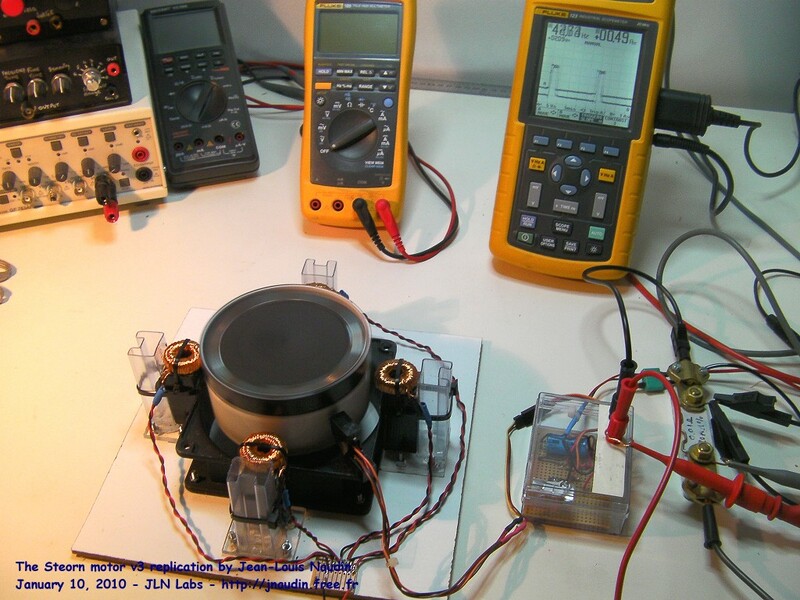 Magnetic fields which radiate externally from many inductors are also an important consideration because energy losses result therefrom, and a hazard to life and equipment.